This project was a Senior case study on people dealing with depression & anxiety. I wanted to create a place where young adults could have a “safe space” to draw together in community and find healing within nature. This space I designed would exist In Australia in the Kakadu National Park. 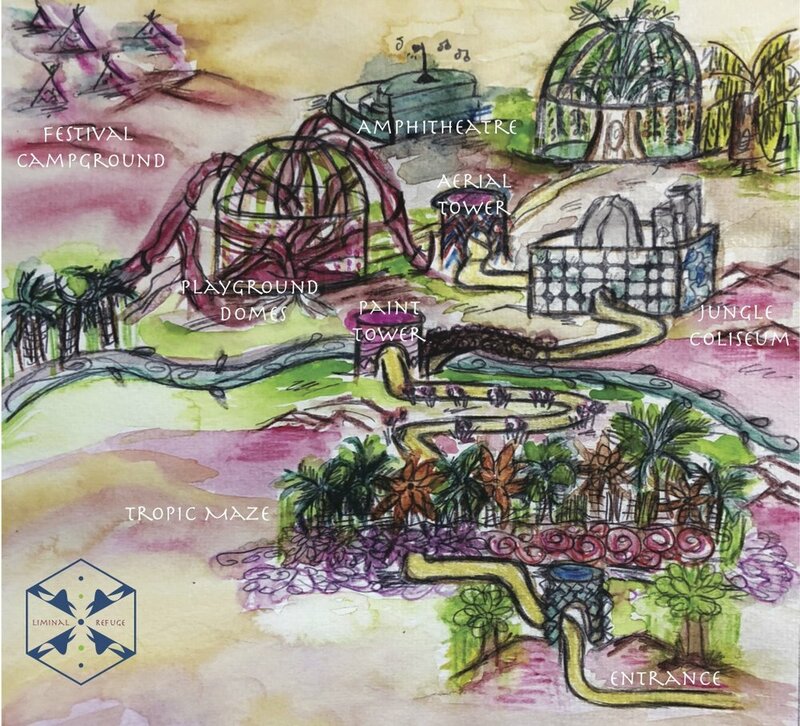 It would exist as a large jungle gym for adults, where festivals could also be held at. This play area would have rock climbing, aerial, painting room, nature incorporated inside for people to climb, and a tropical maze. 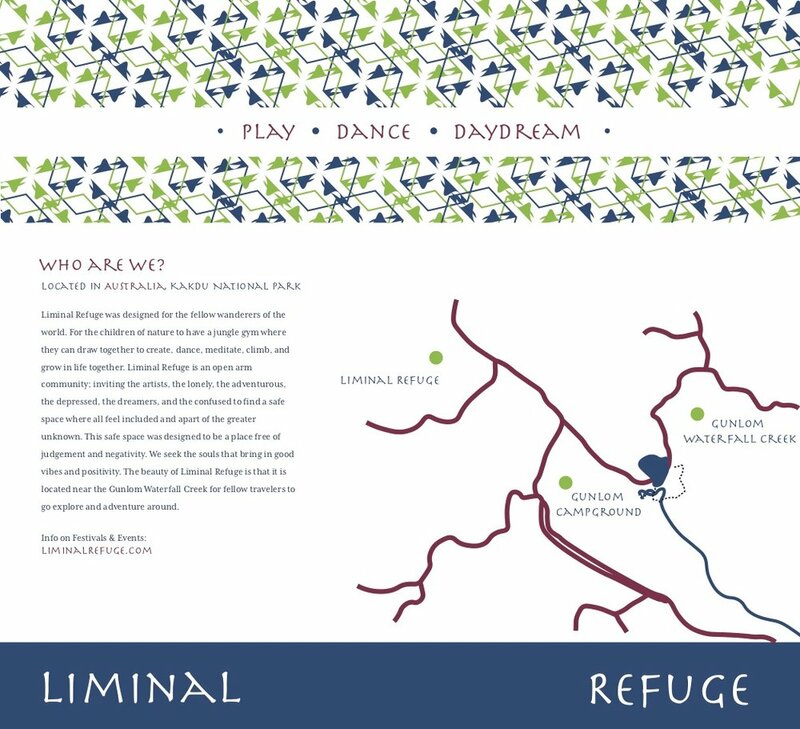 My design consisted of a brochure with a watercolor map of Liminal Refuge. I prototyped a package design of little boxes that come with a compass inside & the brochures. 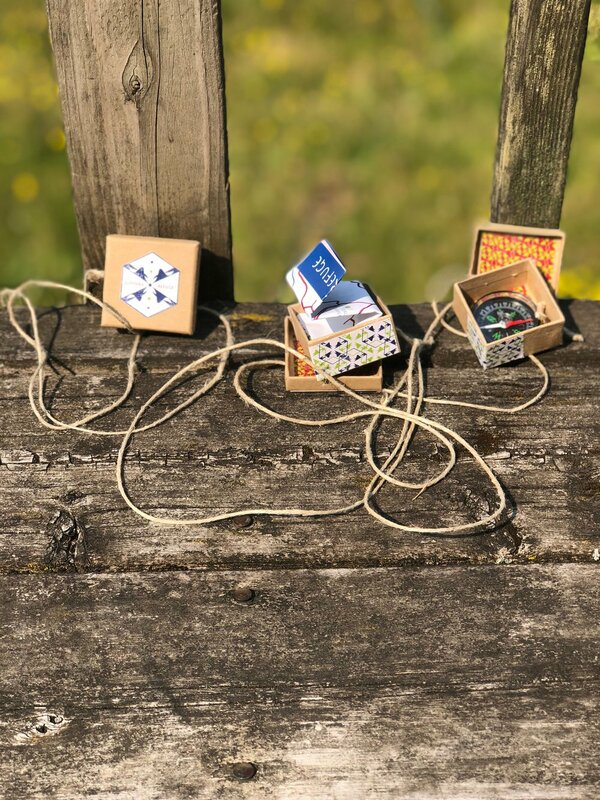 The boxes are attached to rope for people to wear around their neck so they can adventure inside Liminal Refuge!